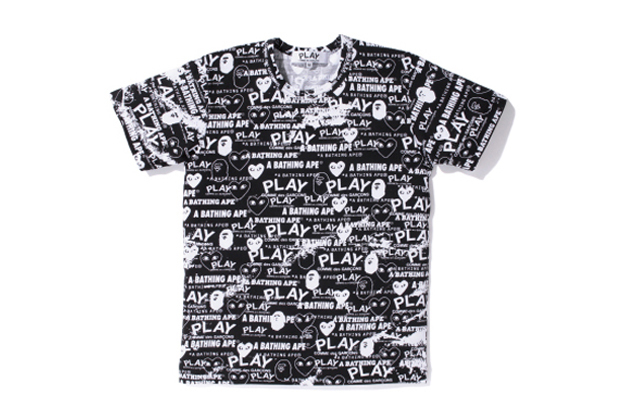 It’s great that we don’t miss out on all the action surrounding the opening of Dover Street Market’s Ginza location, as COMME des GARCONS deliver yet another collaborative capsule, this time focusing on a range of T-shirts with A Bathing Ape and their own PLAY sub-label. 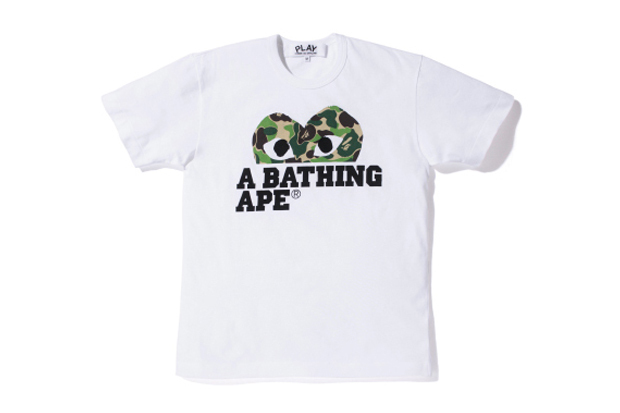 Two allover print designs, and 6 other white tees make up the collection, which fuse both brands’ logos in a range of designs, and also feature BAPE’s iconic 1st camo. 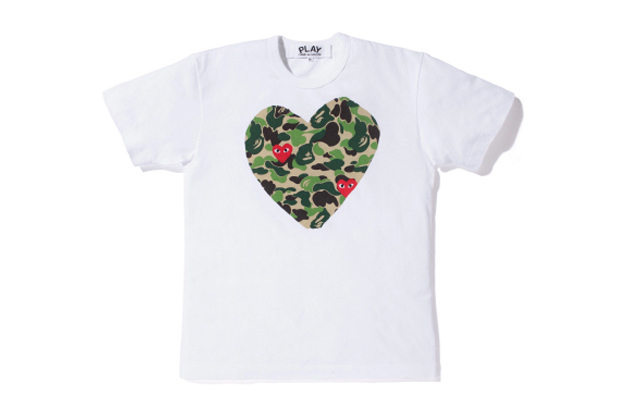 The above camo print tee featuring COMME’s PLAY heart is my pick of the bunch, with the ‘peeping’ style camo heart coming in a close second. It’s a fairly simple collaboration, but at the same time, it’s nothing less than I’d expect from both brands. 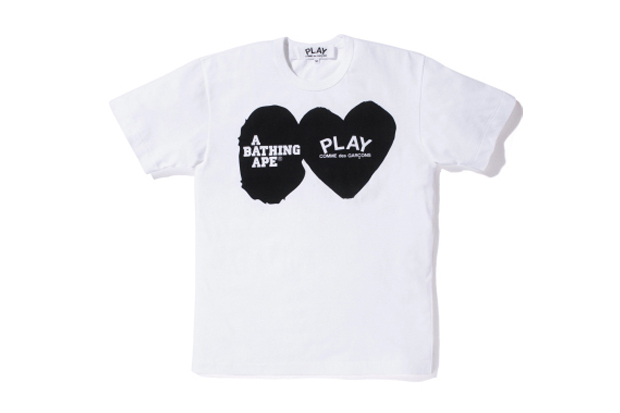 The designs will be available in both men’s and women’s fits from BAPE London this coming Saturday March 17th, priced at £85, while also available from both Dover Street Market‘s London and Ginza locations. 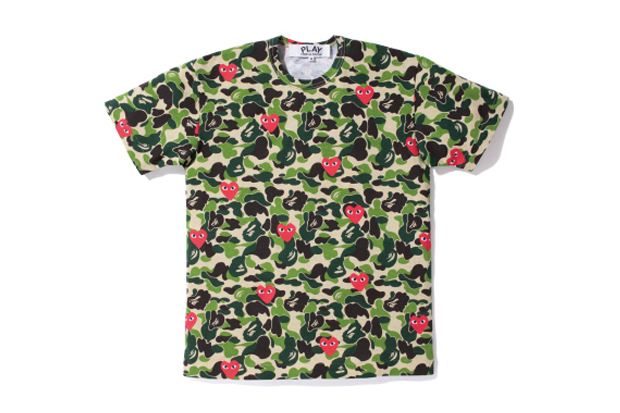 some really nice T’s i especially like the top one with the camo print!